A nation in uproar. A leader in crisis. An unlikely successor waiting in the wings, ‘Richard II’ is Shakespeare’s great political drama about the seduction of power and the tragedy of losing it. 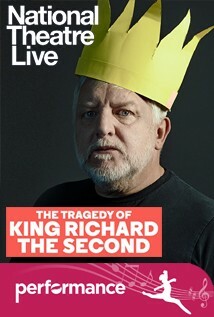 Our first ever broadcast from the Almeida Theatre is a stripped back, modern interpretation of William Shakespeare’s play, and we’re delighted to see Simon Russell Beale return to NT Live screens, following broadcasts of ‘Timon of Athens’ (2012) and ‘King Lear’ (2014). 115m approx - No interval.